This article is about the song. For the Eagles album of the same name, see Hotel California (Eagles album). For other uses, see Hotel California (disambiguation). "Pretty Maids All in a Row"
(1977) "Life in the Fast Lane"
"Hotel California" is the title track from the Eagles' album of the same name and was released as a single in February 1977. Writing credits for the song are shared by Don Felder (music), Don Henley, and Glenn Frey (lyrics). 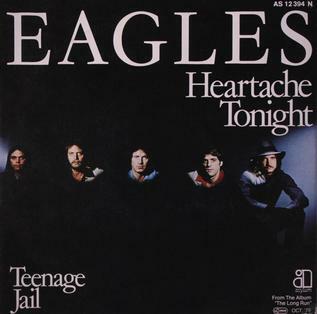 The Eagles' original recording of the song features Henley singing the lead vocals and concludes with an extended section of electric guitar interplay between Felder and Joe Walsh. Donald William Felder is an American musician and songwriter, best known for his work as a lead guitarist of the Eagles from 1974 until his departure in 2001. Guitarist is a British monthly music making magazine published by Future plc. It is the longest-established European guitar magazine, and is currently the biggest-selling guitar magazine in the UK. The magazine's current editor is Jamie Dickson, who has been in charge since late-2013. Each issue covers three areas: reviews, interview and technique. This may include reviews of newly released guitars, amplifiers and other equipment; interviews with famous and up-and-coming guitar players; and features on the guitar industry, news articles, playing technique with tablature. Guitarist's slogan was previously "The Guitar Player's Bible", before changing in 2012 to "The Guitar Magazine". In the June 2014 edition, Guitarist celebrated its 30th Anniversary. Since its release, "Hotel California" has been covered by a number of artists and has become a part of international popular culture. 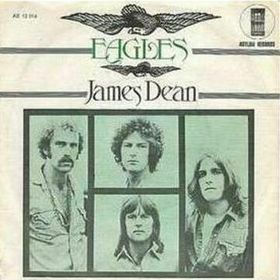 Julia Phillips proposed adapting the song into a film, but the members of the Eagles disliked the idea and it never came to fruition. Commercially, "Hotel California" reached the number one position on the Billboard Hot 100 and reached the top ten of several international charts. Julia Phillips was an American film producer and author. She co-produced with her husband, Michael, three prominent films of the 1970s — The Sting, Taxi Driver, and Close Encounters of the Third Kind — and was the first female producer to win an Academy Award for Best Picture, for The Sting. Don Felder composed the melody for "Hotel California." Glenn Frey provided the outline of "Hotel California." Don Henley wrote the lyrics to "Hotel California" with Frey. Donald Hugh Henley is an American musician, singer, songwriter, record producer and founding member of the Eagles. He was the drummer and co-lead vocalist for the Eagles from 1971 to 1980, when the band broke up, and from 1994 to 2016, when they reunited. Following a year-long break due to Eagles founder Glenn Frey's death, Henley reformed the band in summer 2017 for the Classic West and Classic East rock festivals, hiring Vince Gill and Deacon Frey to replace Glenn. 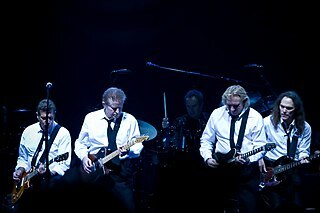 Henley has been the only constant member of the band since its formation. Henley sang the lead vocals on Eagles hits such as "Witchy Woman", "Desperado", "Best of My Love", "One of These Nights", "Hotel California", "Life in the Fast Lane", "The Long Run" and "Get Over It". 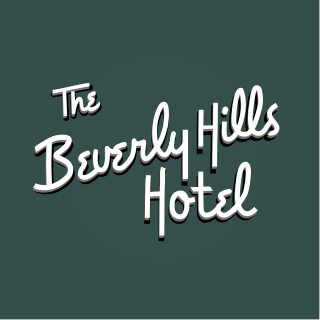 The Beverly Hills Hotel, also called The Beverly Hills Hotel and Bungalows, is located on Sunset Boulevard in Beverly Hills, California. One of the world's best-known hotels, it is closely associated with Hollywood film stars, rock stars and celebrities. The hotel has 210 guest rooms and suites, and 23 bungalows, each designed in the signature pink and green colors which are a trademark of the hotel. The intro and verses' chord pattern counts eight measures, each one assigned to a single chord. Seven different chords are used in the eight measures. As the song opens, it is not until the eighth measure that a chord is repeated. The song is initially in the key of B-minor. The presence of E major gives a hint of B Dorian. 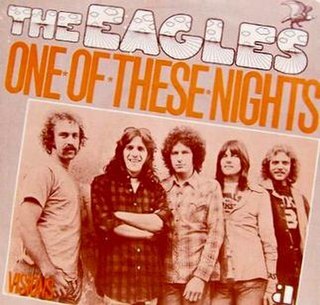 "One of These Nights" is a song written by Don Henley and Glenn Frey and recorded by the American rock band Eagles. The title track from their One of These Nights album, the song became their second single to top the Billboard Hot 100 chart after "Best of My Love" and also helped propel the album to number one. The single version was shortened from the album version of the song, removing most of the song's intro and most of its fade-out, as well. Henley is lead vocalist on the verses, while Randy Meisner sings high harmony on the refrain. The song features a guitar solo by Don Felder that is "composed of blues-based licks and sustained string bends using an unusually meaty distortion tone." 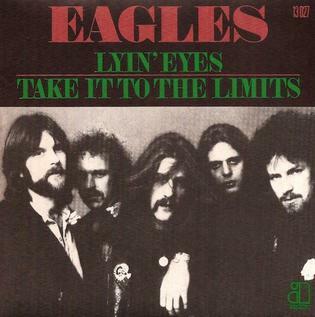 "Take It to the Limit" is a song by the Eagles from their fourth album One of These Nights from which it was issued as the third single on November 15, 1975. It reached No. 4 on the U.S. 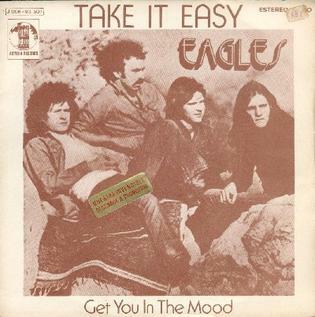 Billboard Hot 100 and was also the Eagles' greatest success to that point in the UK, going to No. 12 on the charts. Billboard ranked it as the No. 25 song for 1976. 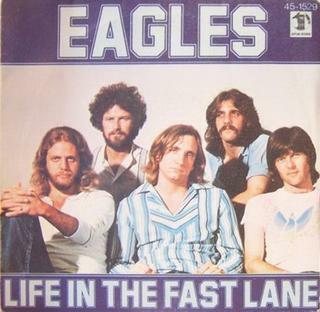 "The Long Run" is a song written by Don Henley and Glenn Frey and recorded by the Eagles. The sound of the song is viewed as a tribute to the Stax / Memphis rhythm and blues sound. It was the title track of their album The Long Run and was released as a single in November 1979. It reached No. 8 on the U.S. Billboard Hot 100 in early 1980. It was the second of three singles released from The Long Run album, preceded by "Heartache Tonight," which reached No. 1 on the Billboard Hot 100 in November 1979, and followed by "I Can't Tell You Why," which also reached No. 8 on the Billboard Hot 100, in the spring of 1980. ↑ Kevin Fong. "Discography of Eagles". superseventies.com. ↑ "Brand new classics". Mail & Guardian . October 31, 1997. Retrieved May 23, 2015. ↑ Dodd, Philip; Du Noyer, Paul (1999). The Encyclopedia of Singles. Paragon. p. 89. ISBN 0752533371. 1 2 3 4 5 Mark Savage. "Glenn Frey: How Hotel California destroyed The Eagles". BBC. 1 2 Gary Trust (May 7, 2014). "Rewinding The Charts: Eagles' 'Hotel California' Checks In At No. 1". Billboard. 1 2 History of the Eagles. 2013. Event occurs at 1:27:50–1:28:10. 1 2 3 4 5 6 7 Sullivan, Steve (October 4, 2013). Encyclopedia of Great Popular Song Recordings, Volume 2. Scarecrow Press. pp. 135–137. ISBN 978-0810882959. 1 2 3 4 Joe Bosso (August 21, 2012). "Interview: Don Felder on The Eagles' classic song, Hotel California". Musicradar. ↑ "Don Felder interview segment". The Howard Stern Show . Sirius Satellite Radio. 2008-07-17. 1 2 3 4 Cameron Crowe (August 2003). "Conversations With Don Henley and Glenn Frey". The Uncool. 1 2 Eliot, Marc (December 13, 2006). "The Eagles: "It's A Record About The Dark Underbelly Of America"". Team Rock. Archived from the original on March 2, 2016. 1 2 "1992 Glenn Frey Interview with Bob Costas". KIOA. January 19, 2016. 1 2 Richard Buskin (September 2010). "The Eagles 'Hotel California' Classic Tracks". Sound on Sound. 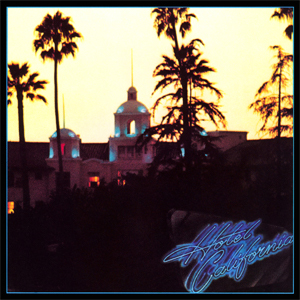 ↑ "'Hotel California' – The Eagles". BBC. ↑ Eliot, Marc (2004). To the Limit: The Untold Story of the Eagles. Da Capo Press. p. 131. ISBN 978-0-3068-1398-6. ↑ Ochs, Micheael. 1000 Record Covers. Taschen. ISBN 3-8228-4085-8. ↑ Kevin Ferguson & Chris Keller (May 15, 2014). "20 things to know about Hotel California". 89.5 KPCC. ↑ Corbin Reiff (November 8, 2014). "20 Years Ago: The Eagles Release 'Hell Freezes Over'". Ultimate Classic Rock. ↑ Nick DeRiso. "Top 10 Don Felder Eagles Songs". Ultimate Classic Rock. ↑ "Billboard Hot 100: February 26, 1977". Billboard. ↑ "Billboard Hot 100: April 7, 1977". Billboard. ↑ "Adult Contemporary Tracks: April 16, 1977". Billboard. 1 2 Billboard. Pop Singles of 1977. December 24, 1977. p. 64. ↑ "Gold & Platinum – Diamond Certifications". RIAA. Archived from the original on July 1, 2007. Retrieved April 20, 2012. 1 2 Appel, Rich (December 10, 2014). "Revisionist History, Holiday Edition: Mariah Gets a 'Christmas' Gift, Wham! Gets the Boot". Billboard . Retrieved December 10, 2014. ↑ "The RS 500 Greatest Songs of All Time". Rolling Stone. December 9, 2004. Archived from the original on December 14, 2006. ↑ "Experience the Music: One Hit Wonders and The Songs that Shaped Rock & Roll". Rock and Roll Hall of Fame. ↑ Andy Greene (February 7, 2013). "Flashback: All the Eagles Unite for Rock and Roll Hall of Fame Induction". Rolling Stone. ↑ Josh Hart; Damian Fanelli (July 16, 2015). "The Top 30 12-String Guitar Songs of All Time". Guitar World. 1 2 Soeder, John (March 20, 2009). "Don Henley gets into the spirit talking about 'Hotel California'". The Plain Dealer. p. T14. ↑ DeMain, Bill (2006). "Rock's Greatest Urban Legends". Performing Songwriter. 13 (92). pp. 50–55. Academic Search Complete. EBSCO. Web. October 28, 2011. ↑ "500 Greatest Songs of All Time: The Eagles, 'Hotel California'". Rolling Stone. Retrieved April 20, 2012. ↑ Reported by Steve Krofts, Producers: Graham Messick and Michael Karzis (June 15, 2008). "The Long Run". 60 Minutes. CBS. Archived from the original on April 15, 2012. ↑ History of the Eagles. 2013. Event occurs at 1:30:50–1:31:10. 1 2 3 4 "Hotel California by Eagles". Song Facts. ↑ Cecil Adams (August 15, 1997). "In the song "Hotel California," what does "colitas" mean?". Straight Dop. 1 2 3 4 Tillekens, Ger. "Locked into the Hotel California: Or, expanding the Spanish progression". Soundscapes.info, 2006. Retrieved March 1, 2012. ↑ "The Harvard Dictionary of Music — Don Michael Randel | Harvard University Press". www.hup.harvard.edu. Retrieved 2016-07-21. ↑ "Ian Anderson of Jethro Tull". Song Facts. ↑ Andrew Vaughan (February 1, 2015). The Eagles FAQ: All That's Left to Know About Classic Rock's Superstars. Backbeat Books. ISBN 9781617136238. ↑ Feenstra, Pete (September 2012). "Interview: Don Felder". Get Ready to Rock. hotdigitsnewmedia group. Retrieved May 5, 2015. ↑ Rock the Nation: Latin/o Identities and the Latin Rock Diaspora by Roberto Avant-Mier, p. 167. ↑ "Jam on the Muth". Official Charts Company. ↑ Thomas H Green (April 26, 2007). "The song that won't check out". Daily Telegraph. ↑ "Livin' it up with a parody of paradise: Mike Piranha's 'Hotel Honolulu' gets airplay and guffaws". Honolulu Star-Bulletin. June 8, 1998. Retrieved August 20, 2015. ↑ CMJ New Music Monthly (January 2001), p. 54. ↑ Stephen Thomas Erlewine. "Nancy Sinatra California Girl". AllMusic. Rovi Corporation . Retrieved August 29, 2017. ↑ Air Owens (December 24, 2015). "Five Best Covers of Hotel California". Popcorn. Archived from the original on August 7, 2016. ↑ "Discogs" . Retrieved October 6, 2018. ↑ "The Killers – Hotel California" (December 2, 2009), The Telegraph. ↑ "R&B Resurgence". Billboard. April 2–9, 2011. p. 31. ↑ Marc Schneider (June 4, 2014). "Don Henley Slams 'Arrogant' Frank Ocean for Using 'Hotel' Music". Billboard. ↑ Mark Hendrickson (February 3, 2015). "The EU's Nightmare In The 'Hotel California'". Forbes. ↑ Victor Pineiro (April 17, 2015). "Navigating the 'Hotel California' effect of social platforms". Digiday . ↑ Jan C. Van Ours (2006). "Leaving 'Hotel California': How Incentives Affect Flows of Benefit Recipients in the Netherlands". Vierteljahrshefte zur Wirtschaftsforschung. 75 (3, S): 186–207. ↑ Mark Fineman (August 11, 1992). "States – Foreign Relations – Iraq Troops Check Out 'Hotel California' : Persian Gulf: West Coast Marines wait nervously in Kuwaiti desert camp as tension rises between U.S., Iraq". Los Angeles Times. ↑ Maria Aspan (February 11, 2008). "On Facebook, leaving is hard to do". The New York Times. ↑ Holger Görgh (2003). "Fancy a stay at the "Hotel California"? Foreign direct investment, taxation and exit costs" (PDF). ↑ Todd Malan (November 23, 2006). "Time to change rules at Hotel California". Financial Times. ↑ "China Joint Ventures And The Hotel California Effect". Alibaba. May 22, 2013. ↑ "China and the Hotel California Effect in Banking". China Economics Blog. 5 January 2009. ↑ Larry Walsh Cloud Computing (15 October 2015). "Walmart disrupts 'Hotel California effect' in cloud". Channelonmics. ↑ Victor Pineiro (December 16, 2015). "Five Social Trends Marketers Won't Be Able to Ignore in 2016". Advertising Age. ↑ Matt P. "Operation Hotel California: The Clandestine War Inside Iraq" (PDF). CIA. ↑ Deanne Stillman (August 23, 2014). Some Dance to Remember, Some Dance to Forget: A Few Thoughts on Iraq, "Hotel California," and Coming Home. Los Angeles Review of Books. ↑ Ben Kayeon (September 14, 2014). "David Letterman punks The Eagles over licensing their music – watch". Consequence of Sound. ↑ "The Definitive Guide To The Music of The Big Lebowski". LA Weekly. March 7, 2013. ↑ Allison Piwowarski (October 8, 2015). "Is 'AHS: Hotel' Based On "Hotel California"? The Eagles Song Is Filled With Clues". Bustle. ↑ "The Eagles' 'Hotel California': 10 Things You Didn't Know". Rolling Stone. Retrieved 2016-12-11. ↑ "Austriancharts.at – Eagles – Hotel California" (in German). Ö3 Austria Top 40. ↑ "Ultratop.be – Eagles – Hotel California" (in Dutch). Ultratop 50. ↑ "Top RPM Singles: Issue 5268a." RPM . Library and Archives Canada. ↑ "Top RPM Adult Contemporary: Issue 4362." RPM . Library and Archives Canada. ↑ "Lescharts.com – Eagles – Hotel California" (in French). Les classement single. ↑ "Offiziellecharts.de – Eagles – Hotel California". GfK Entertainment Charts. Retrieved February 13, 2019. ↑ "Dutchcharts.nl – Eagles – Hotel California" (in Dutch). Single Top 100. ↑ "Charts.nz – Eagles – Hotel California". Top 40 Singles. ↑ "Norwegiancharts.com – Eagles – Hotel California". VG-lista. ↑ "Swisscharts.com – Eagles – Hotel California". Swiss Singles Chart. ↑ "Eagles: Artist Chart History". Official Charts Company. ↑ "Eagles Chart History (Hot 100)". Billboard. 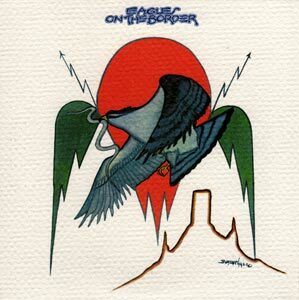 ↑ "Eagles Chart History (Adult Contemporary)". Billboard. ↑ "Top 200 Singles of '77". December 31, 1977. ↑ "Italian single certifications – Eagles – Hotel California" (in Italian). Federazione Industria Musicale Italiana . Retrieved October 3, 2016. Select "2016" in the "Anno" drop-down menu. Select "Hotel California" in the "Filtra" field. Select "Singoli online" under "Sezione". ↑ "British single certifications – Eagles – Hotel California". British Phonographic Industry . Retrieved November 14, 2013. Select singles in the Format field. Select Silver in the Certification field. Type Hotel California in the "Search BPI Awards" field and then press Enter. ↑ "British single certifications – Eagles – Hotel California". British Phonographic Industry . Retrieved September 5, 2018. Select singles in the Format field. Select Platinum in the Certification field. Type Hotel California in the "Search BPI Awards" field and then press Enter. 1 2 "American single certifications – Eagles – Hotel California". Recording Industry Association of America . Retrieved May 2, 2013. If necessary, click Advanced, then click Format, then select Single, then click SEARCH.